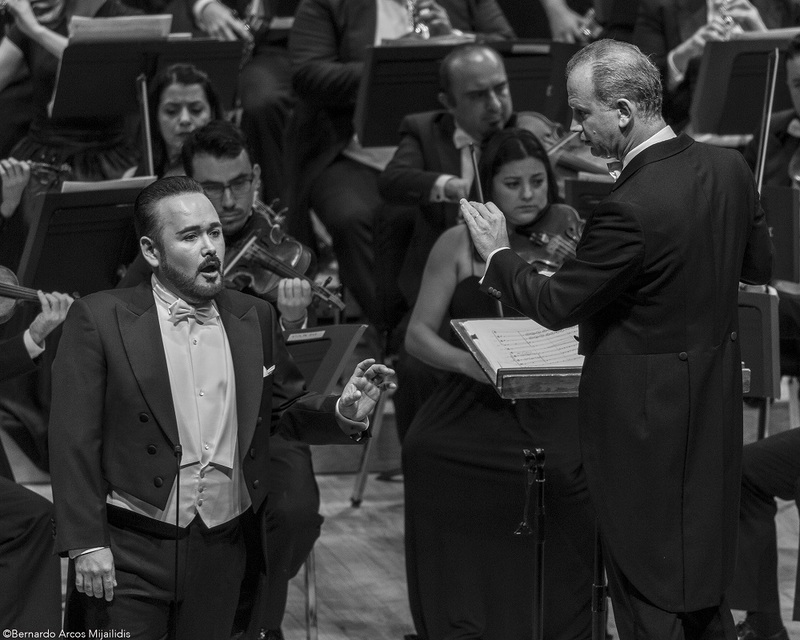 Mexico City has been very lucky in 2018 having two marvelous concerts of Mexican tenor Javier Camarena. This time, he performed in the Sala Nezahualcóyotl and he was accompanied by the Orquesta Sinfónica de Minería, in its 40th Anniversary, conducted by Carlos Miguel Prieto. This time, it wasn't only Camarena who was the star of the evening: it was the repertory he sang. He presented the arias he recorded in his upcoming new CD for Decca Classics called "Contrabandista". This CD launches Cecilia Bartoli’s new label “Mentored by Bartoli,” and it is dedicated to the exploration of the compositions and reportory associated with the Spanish tenor, composer and impresario Manuel García. 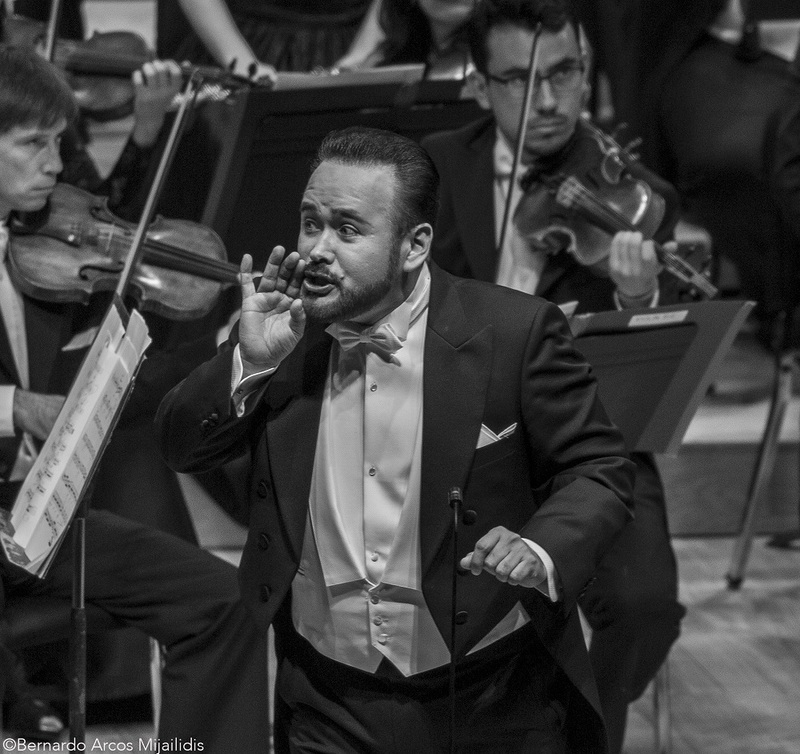 Javier performed arias by Rossini, García and Zingarelli, some of which have never been heard in Mexico City before. The program was a mix of arias and overtures of composers mentioned before. The concert began with the overture of Don Chisciotte by García, with a musical style that reminded us to late Haydn and Mozart. Camarena made his triumphant entrance on stage to sing the comedic aria "Formaré mi plan... En mi comedia juntamente" from García's opereta El poeta Calculista. It was very refreshing to hear and see Camarena show his funny side in this aria that had a lot of resemblance to a Rossinian monologue such as the aria of Don Profondo of Il viaggio a Reims, where the singer has to use his perfect diction and actor chops to express the mischievous tone of the aria. After this aria, Camarena sang with beautiful legato and gorgeous sound the aria "Mais que vois je?... Vous dont l'image" from La mort du Tasse, also by García. It was very interesting to listen to the musical style that García used in his operas with a libretto in French. They seem to come closer to the style of André Ernest Modeste Grétry or François-Adrien Boïeldieu. The Orquesta Sinfónica de Minería played the overture of La Cenerentola with bright sound and it was specially impressive in the Rossinian crescendo. Camarena came back to sing another beautiful aria by García; this time it was "Hernando desventurado... Cara gitana" from his opera El gitano por amor. He finished the first part of the concert with one of the arias that has given him international success: "Sí! Ritrovarla io giuro!" from Rossini's La Cenerentola. 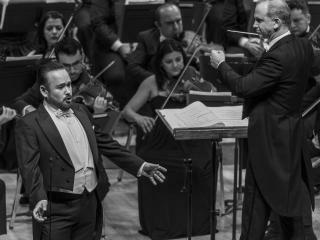 As he did in the other arias, Camarena crowned the end of the piece with a superb high note that cut through the auditorium and rang effortlessly for several seconds. He is capable of molding his voice from pure tenderness, as in "Pegno adorato", and then immediately go into the bravura moment of "Dolce speranza". His voice has gained more roundness in the middle range and yet, his high notes continue to be bright, ringing and with squillo. The second part began with the short but very exquisite aria "De ses yeux tout ressent l'empire" from La mort du Tasse, showing Camarena's mezza voce at its best. He continued singing the aria "Più dubitar mi fan... Là dai regni dell'ombre e di morte" from Nicola Antonio Zingarelli's Giulietta e Romeo, which he sang with beautiful phrasing and passion. From the same opera, the orchestra performed the overture with a vibrant tempo. Camarena then sang the aria "S'ella m'è ognor fedele" from Rossini's Ricciardo e Zoraide giving a masterclass in legato line and expressiveness. The orchestra, conducted by Carlos Miguel Prieto, ended the official program of the concert with the overture of Il barbiere di Siviglia. From the same opera came the first encore: the alternative aria of Almaviva "Cessa di più resistere", where Camarena showed his full command of the Rossinian style and why this role brought so much success to his career. The second encore, in hommage to García's career as a singer who sang both roles of tenor and baritone, was Don Giovanni's serenade "Deh! Vieni alla finestra" from Mozart's Don Giovanni. 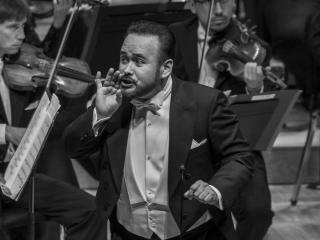 Camarena told the audience he didn't want to change of tessitura into a baritone but that he would make an exception that night to sing this piece of a role that was one of García's most celebrated ones. The third encore was the aria "Yo que soy contrabandista" from García's El poeta Calculista, a piece with pure Spanish style that reminds us of a zarzuela romanza, accompanied by a guitar and the orchestra. Camarena sang it with gusto and thus introduced the Mexican audience to the music of Manuel García who was in Mexico from 1827 to 1829, premiering and performing there several operas by him and by Mozart and Rossini during those years. It was indeed a pleasure to listen to this little know material from García and to hear Camarena sing with his usual commitment to his art and his audience. The review is about the recital of 2018, September 9th.